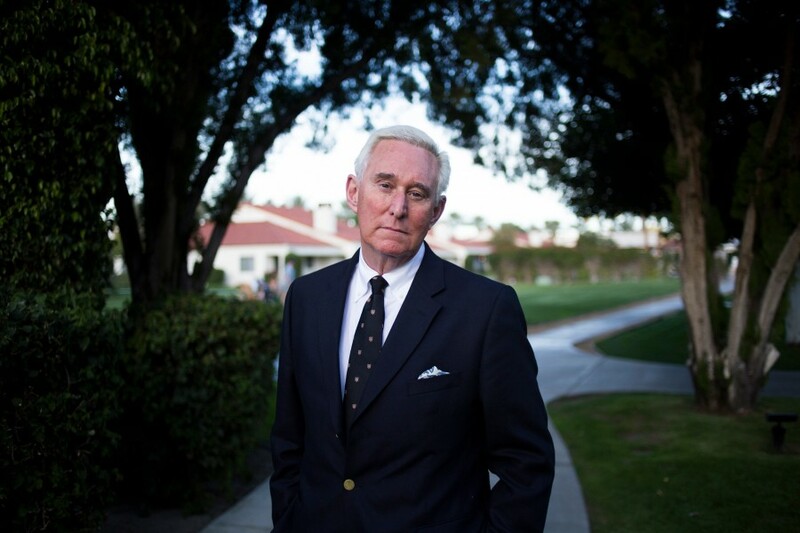 Roger Stone at the La Quinta Resort and Club in La Quinta, Calif., March 3, 2017. WASHINGTON — Roger J. Stone Jr., a longtime informal adviser to President Donald Trump, was charged as part of the special counsel investigation over his communications with WikiLeaks, the organization behind the release of thousands of stolen Democratic emails during the 2016 campaign, in an indictment unsealed Friday. Before dawn on Friday, FBI agents arrested Stone at his home in Fort Lauderdale, Florida, and he was expected to appear in a federal courthouse there later in the morning. The indictment is the first in months by the special counsel, Robert Mueller, who is investigating Russia’s interference in the 2016 election and possible coordination with Trump campaign associates. Stone, a self-described dirty trickster who has spent decades plying the dark arts of scandal-mongering and dirty tricks to help influence American political campaigns, has long maintained that he had no connection to Russia’s attempts to disrupt the 2016 presidential election. According to the indictment, Trump campaign officials contacted Stone during the summer of 2016 about future releases from WikiLeaks, suggesting that Trump’s campaign knew about the stolen emails before they were released. But the special counsel’s investigators spent months encircling Stone, renewing scrutiny about his role during the 2016 presidential race. Investigators interviewed former Trump campaign advisers and several of his associates about Stone’s fundraising during the campaign and his contacts with WikiLeaks.